Parts and Service Hours all day on Saturday! Home of the “Swap Key Program”! We employ 5 Master Honda Technicians with over 100 years of Honda technical experience. 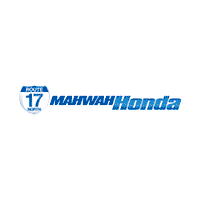 Exclusive Membership to the Mahwah Honda Car Club only available, with purchase of vehicle from Mahwah Honda. Partnered with a Honda Certified Body Shop. We only use Honda Genuine parts. Brand new State Of The Art Pre-Owned and Service Center. Valid only at Mahwah Honda. Must present coupon when order is written. Not valid with any other offer or special. Car club discounts do not apply.